For many years, Charles Parker has served the Kalamazoo community. Named by the Kalamazoo Gazette as “Mr. Everything, Charles’ reputation for excellence in youth programming and community development work is extensive. His most notable service includes: Program Director for the Greater Kalamazoo Y.M.C.A. where he established the Lincoln-Y.M.C.A. program on the Northside of Kalamazoo; founder of the Kalamazoo Black Achiever Program; head coach for various sports programs such as football, track, wrestling and judo; founding member of the Northside Neighborhood Watch; and Achievement and Behavior Support Specialist for Kalamazoo Public Schools. 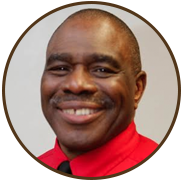 In addition to being an active community leader and youth advocate, Charles is the proud father of six children reared countless nieces, nephews and foster-children over the years. Charles believed that it was essential for his children to develop into community leaders, therefore he worked hard to keep them involved in many of the services he was involved with in the community. The seeds of hope he planted in them over the years enabled them to realize their personal dreams; and now they have been equipped and positioned to help him in realize personal dream of his own. In 2013, with the help of his family, Charles Parker founded Charlie’s P.L.A.C.E. It is his hope that Charlie’s P.L.A.C.E. will continue to grow and create change in the community for generations to come.